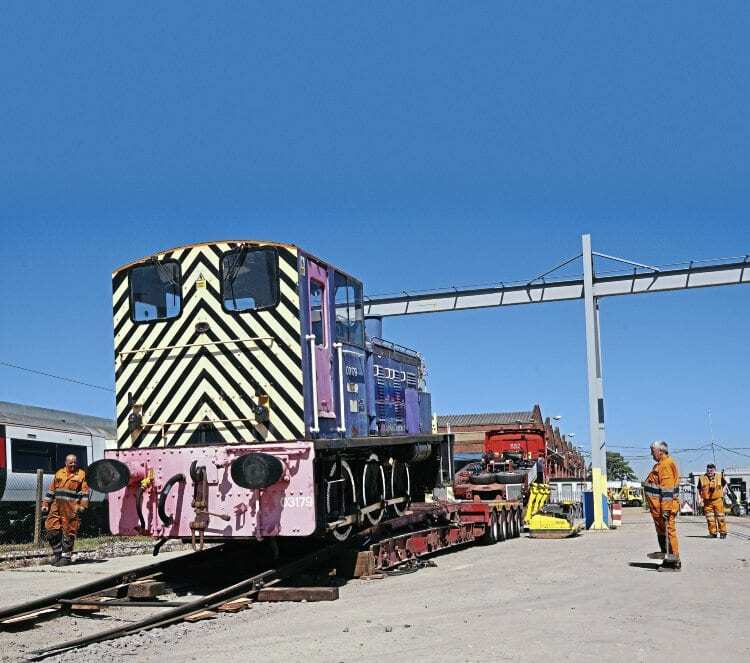 Hornsey depot’s celebrity shunter has been acquired by the Rushden Transport Museum. Andy West and David Russell report. THE sale of former Hornsey pilot No. 03179 Clive has been concluded, and the loco moved to its new home in preservation at the Rushden Transport Museum in Northamptonshire on July 19. The ‘03’ was the last example of the class on the main line network, having been based at the North London depot for the last 17 years. Negotiations regarding the acquisition of the loco had been ongoing for some time, but Clive has now been unloaded safely at Rushden and is being assessed mechanically for a return to fully operational status. Bodywork repairs and a full repaint will also be carried out, and its first passenger train in preservation is being planned for next year.